Education is undergoing a vast transformation through the creation of new technologies. While the workbook/journal format might seem low tech by comparison, it has an important place in acquiring knowledge and skills. A workbook is the original self-paced learning system. 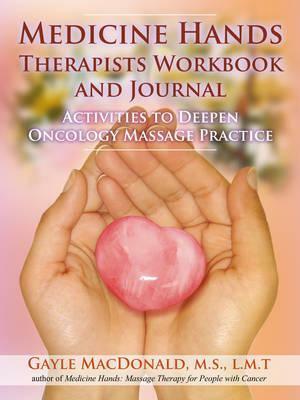 Whether a practitioner is beginning to study massage for people affected by cancer or is deepening their practice, learning occurs through a number of directions: self-study, guided clinical lessons with an experienced teacher, supervised hands-on practice with clients, mentoring, and peer support via group interactions. Like Medicine Hands, the workbook and journal continues the use of the pressure, site and position framework as a core tenet.